This fascinating autobiography has an immense visual appeal. The reader will be able to almost see the growth of radical parties with young boys playing with fake bombs in the village, deeply involved in neighbourhood social service, to becoming members of revolutionary parties. The action moves from the villages to the city of Calcutta before the Partition of the Subcontinent. 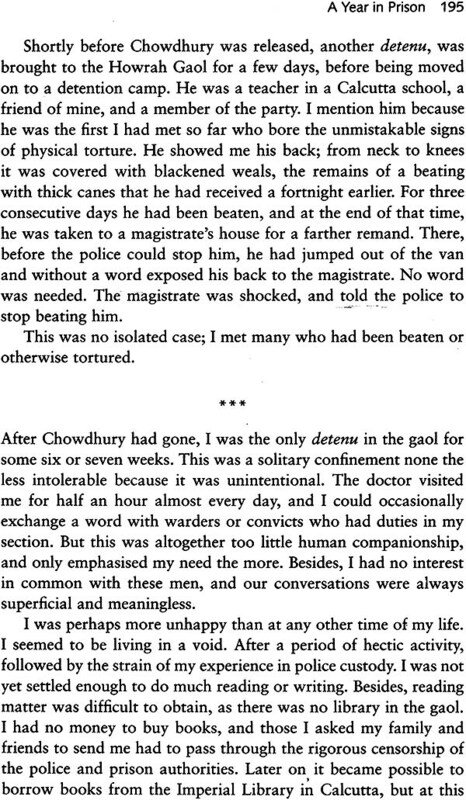 The description of Kali Ghosh being tortured in a British-run jail will remain with the reader for a long time. He was about to be sentenced to death, but was rescued by family connections In the secret police. The book has a rare account of everyday life of prisoners in a jail. Kali Ghosh was deported and later landed In England. The manuscript was inherited by Kali Ghosh's step-daughters Nadja, Sonja and Barbro Wiking and is in the personal possession of Janken Myrdal and shared by Pablo Wlklng-Faria. Janken Myrdal has written a personal note to this book. Janken Myrdal is Professor of Agrarian History at the University of Agrtcultural Sciences in Uppsala, Sweden. Pablo Wiking-Faria is first curator at the Regional Museum of Halland, Varberg, Sweden. The Introduction to the volume has been written by Gunnel Cederlof Gunnel Cederlof Is Professor of History at Uppsala University, Sweden. Born circa 1900-1902, in India; Lived from the 19308 in London, worked as a journalist for Blitz and other journals. Published one book in his lifetime: The Indian Way, New Delhi 1972. Married Paula Wiking-Ghosh in the mid 19308. They worked together as journalists. She died in 1968. He had three step-daughters: Sonia, Nadja, Barbro. They lived in Sweden and inherited the manuscript of his autobiography. Kali P Ghosh died in January 1978, in London. The manuscript has been forwarded to Uppsala University Library ("Carolina"). Kali Ghosh grew up in rural east Bengal at a time when Indian nationalist movements of all shades clashed with British imperial interests. He was born in Khulna, some sixty kilometres east of Calcutta. At the time, it was a rural small town, dominated by a few communities and hosting many migrant and long resident labourers. The town was drawn into wider politics when the Viceroy Lord Curzon tried to split the opposition to British rule by turning Muslims against Hindus, and cut Bengal in two. Widespread protests against the partition of 1905-1907 had followed and been met by boycott. 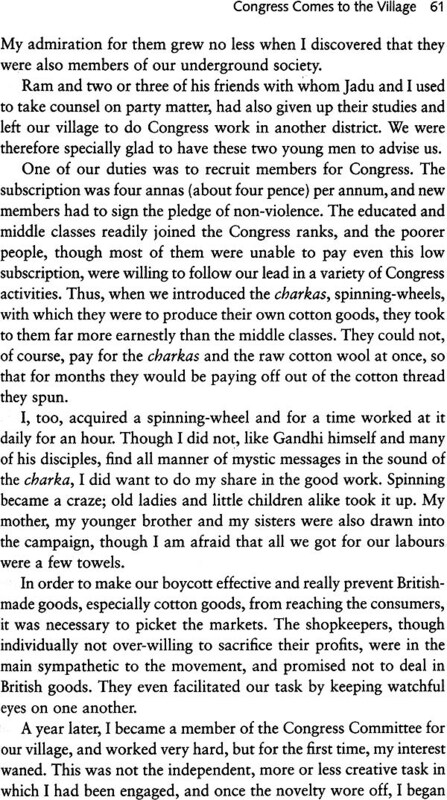 Also in Ghosh's home town people refused to buy salt and cotton goods imported from Britain. Demonstrations marched through the streets of towns and villages in the district, and money was collected for the cause. Heated debates on political and social issues were part of everyday life, and Ghosh was only a teenager when he joined the Gandhian volunteers who arrived in Khulna to mobilise the young for the Congress. Politically, the Congress was a broad movement and Ghosh was drawn into the radical left wing in his early twenties. Subhas Chandra Bose's sharp and rhetorical speeches with uncompromising demands for a free India impressed the young mind, and the parading troops of Bose's Indian Independence Army had an overwhelming influence. But Ghosh's enthusiasm was often overshadowed by disappointment. He was disillusioned about the older generation of nationalists. In his eyes, though M. K. Gandhi was the venerated and undisputed leader of the Congress, Ghosh thought he made far too many compromises to keep the peace. In his eyes, non-violence was an admirable ideal but it did not work. 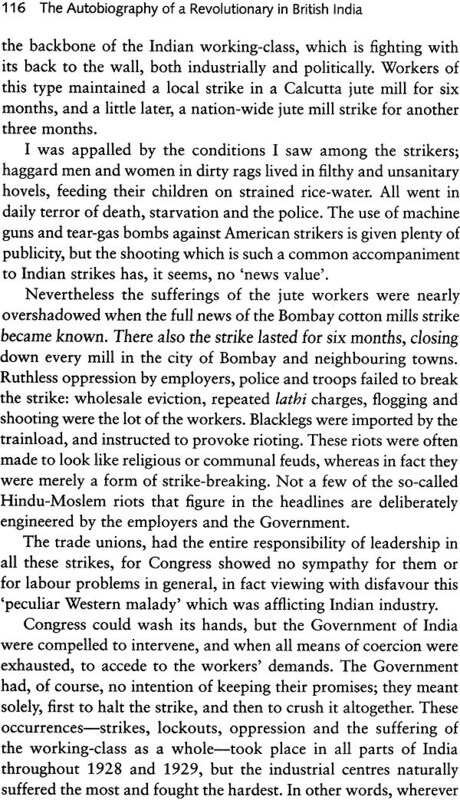 Gandhi's categorical position on non-violence and an austere life generally drew less sympathisers in Bengal than elsewhere. 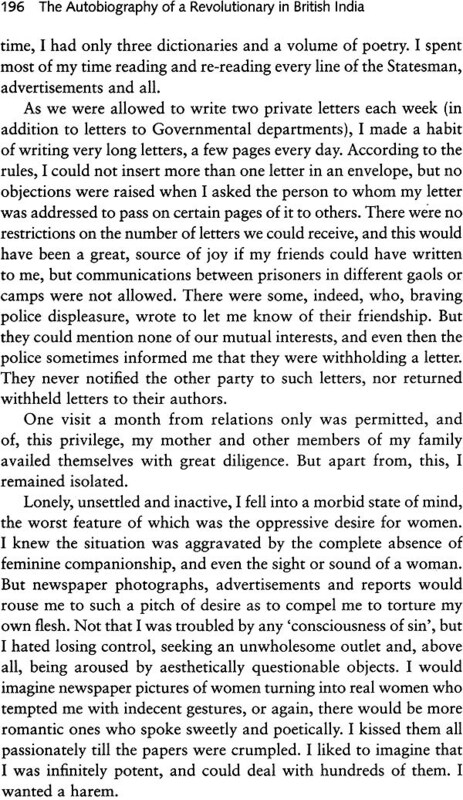 Here the intellectual elite favoured less ascetic discipline while the mass campaigns soon turned into large-scale strikes, boycotts, and radical peasant protests. These were movements within the movement that were not easily controlled. 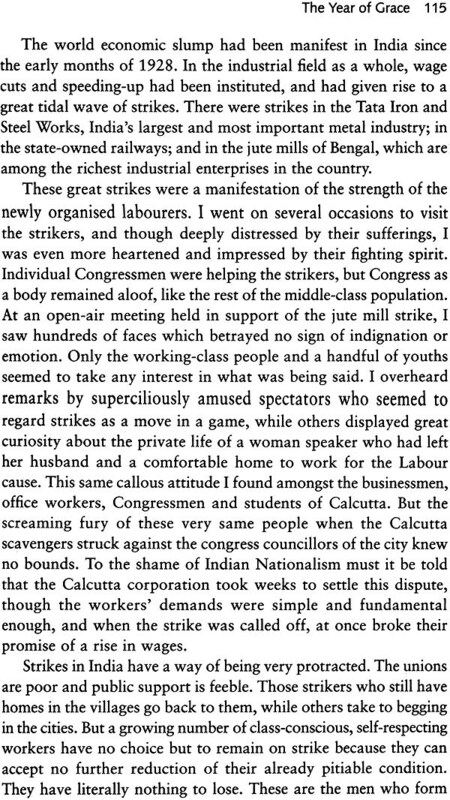 When Gandhi called off the largely successful non- cooperation movement in 1922, not only radical young people like Ghosh were distressed. For Gandhi, it was the only responsible thing to do when things went out of hand and violence began to spread like wild fire. But to men like Ghosh, it looked like the political leaders had failed them. Ghosh was equally disappointed with the senior revolutionary leadership. They were mostly men and women who had been members of militant youth clubs at the time of partition. 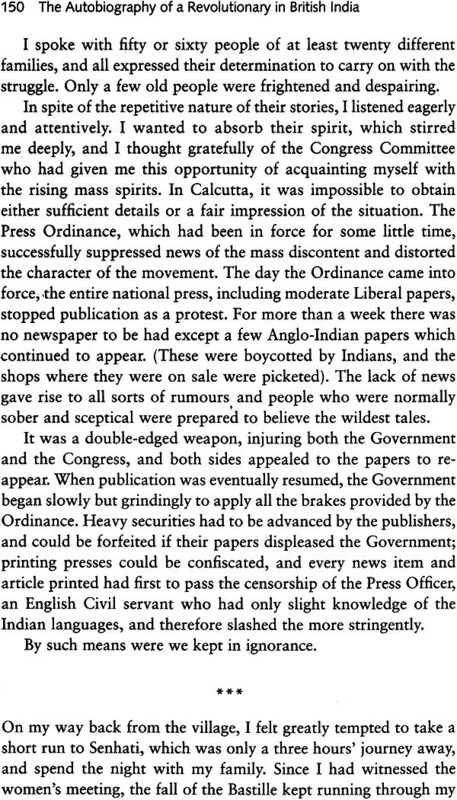 From the enforcement of the government resolution that divided Bengal they had seen no alternative other than violence to fight the British. Now, almost two decades later, when things were again heating up, the veteran revolutionaries-the dadas-wanted to hold back the young, radical, and impatient followers. The senior generation had faced the repression, the deportations to the Andaman Islands, and long jail sentences. But the young wanted to move ahead and fast. Kali Ghosh was one of the disenchanted youth who saw terrorist acts as the only way to throw out the British from India. Just before he was finally arrested in 1930, his task was to spread information between small revolutionary cells in Calcutta, and to make bombs. Ghosh's autobiography offers a deep insight into the entry into political awareness of one of the many young Congress volunteers. He was not among the well known nationalists, but his experiences were shared by many. There is a rich literature on the history of the Indian nationalists, studied by several generations of historians. This introduction draws on these studies and on conversations with the senior historians Barun De, Binoy B. Chaudhuri, and Tanika Sarkar, and the senior journalist Amitava Chowdhury. 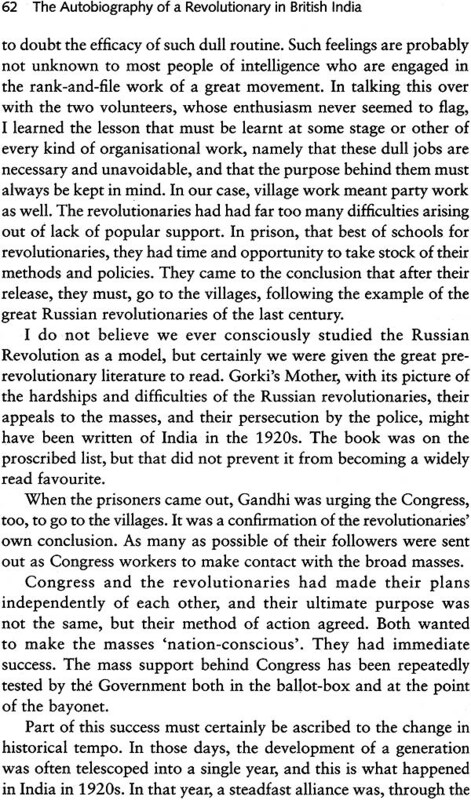 They explain how Gandhi's withdrawal and the detention of many radicals in British prisons in the early 1920s appeared to be more than a setback to the young revolutionaries. British repression followed on the mass arrests but, as when water withdraws from the shores before a large wave hits, they never saw the wave coming. From the perspective of the young radicals, the 1920s was a period of stagnation in the nationalist movement. It can also be seen as the terrorist phase of the Congress. 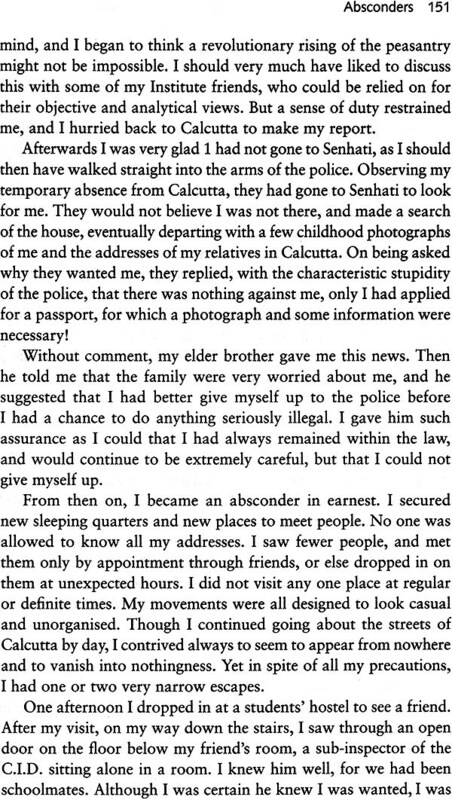 In 1931, after two years in jail, Ghosh was deported to England. Eight years later, he concluded this autobiography. He dedicated it to his wife, wanting her to understand his own background which he could not share with her in any other way. She also helped him write the text. He was then not an old man looking back at his life, but still fairly young. He was also typing his manuscript at a critical time in history. Europe was at boiling point and at the threshold of war. But we know this only from hindsight. In 1939, Czechoslovakia was under occupation and German troops grouped at the borders of Poland. Yet European leaders still believed that war could be averted. On arriving in London, Ghosh joined the British communists. Even if Ghosh was not a dedicated socialist at the time, it was the obvious group to align with since they had close connections with the radical left in Bengal. But we must not anticipate events. It is curious how one's memory retains incidents apparently forgotten. For years-indeed, for as long as I can remember-I have not thought of my childhood. Now, in a self-imposed search into the past, incident after incident, often with minute details, comes crowding into my mind. My difficulty is to sort out the relevant ones, and to refrain from ambling contentedly into anecdotes which bear little relation to the purpose of this book. 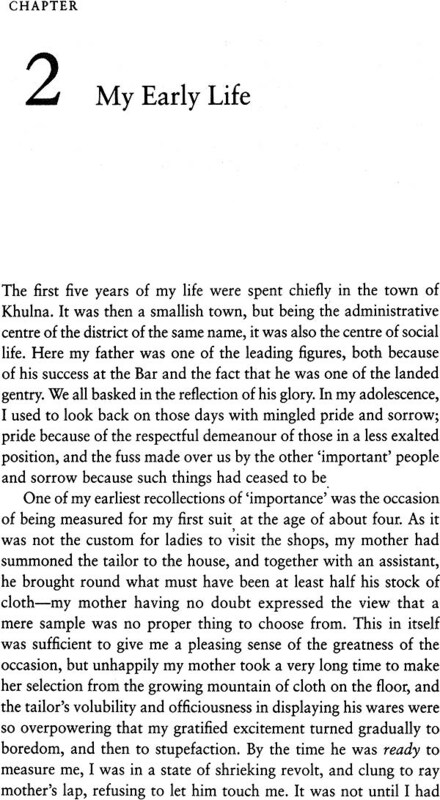 Ghosh was born just before the turn of the last century in a zamindar family in Khulna. Today, the district in Bangladesh with the same name is much smaller than Khulna one century ago. During Ghosh's childhood, Khulna was one of three districts that included both the Sundarban mangroves and low lying rice- cultivation lands. The district was located immediately east of Calcutta and the district 24 Parganas. It had an agrarian economy and socioeconomic relations were sharply polarized. While landlords were only below six per cent of the population, tenants amounted to almost eighty-six and labourers to eight per cent. About half of the lands were cultivated by sharecroppers, bargadars (Chatterjee 1984: 37, 41). However society's upper layer, the landowning zamindars, were not necessarily wealthy. In his exile in London, Kali Ghosh remembered family property of thousands of acres of paddy lands in the Sundarbans. This may well have been a tale carried on from childhood like remembered riches of former days among families with princely pretentions. At the same time, lands in Sundarbans were not easy to manage and not automatically a source of wealth. Kali's father died when Kali was only a child and his widowed mother moved with her children into the joint family of her relatives who lived across the river in Senhati. 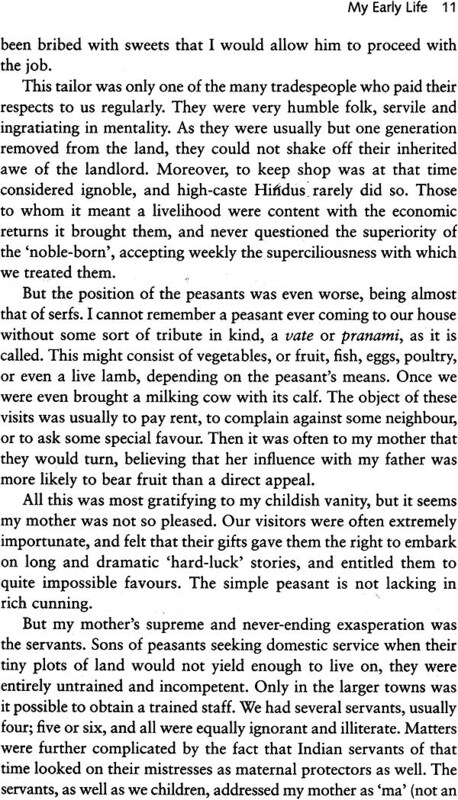 Ghosh constantly reminds his readers that caste was of no importance for the struggle. But in Senhati it seems to have mattered. Ghosh belonged to the Kayastha community, a community of scribes, well versed in Persian with a past as officials under the Nawab of Bengal. This brought them close to the Muslims. Barun De describes certain tensions between them and the Brahmin Baidya community about asserting the highest status. Yet says De, such conflicts were not primarily a matter of caste or class divisions. They rather reflected conflicts centring on sub-regions, kinship, and the cultural aspect of economic status. The Baidyas dominated Senhati and the Ghosh family was probably feeling pretty miserable having moved there. No conquest of one country by another can be considered complete unless the conquerors either wipe out the conquered peoples entirely, as did the whites who wrested the American continent from the North American Indians, or admit them to full social, economical and political equality-a thing which no conqueror of modern times has yet done. Britain, with her characteristic tendency to compromise, has taken a middle course in India; the former course admittedly presenting certain practical difficulties, and the latter not being regarded as profitable for the right people. So India remains only half conquered, and her peoples live in an atmosphere of distrust, dislike and revolt against their rulers. Revolutionary and nationalist feeling, especially in the middle classes, is inevitable, and the twentieth century Indian, from his earliest childhood on, is impregnated with it. It is in illustration of this circumstance that I am writing what I call my 'political autobiography'. My personal life and achievements, such as they are, are important chiefly to myself, but my political life, which has indeed, except for five years, been all my life, may serve as a fairly typical example of what is going on in India to-day.